We think the cheese on top is the most delicious part of French Onion soup. 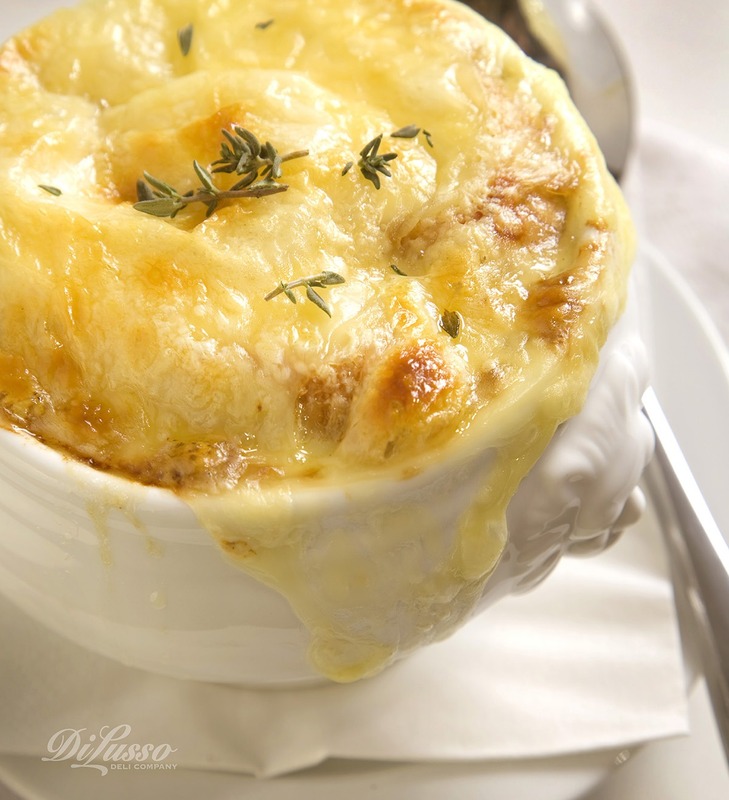 Warm up your favorite French Onion Soup recipe, then ladle into oven-safe bowls. Place bowls on cookie sheet and top each one with a toasted baguette slice. Finish with a slice or two of of DI LUSSO® Baby Swiss Cheese, and some shredded parmesan cheese. Place under broiler until golden brown and bubbly. Enjoy!